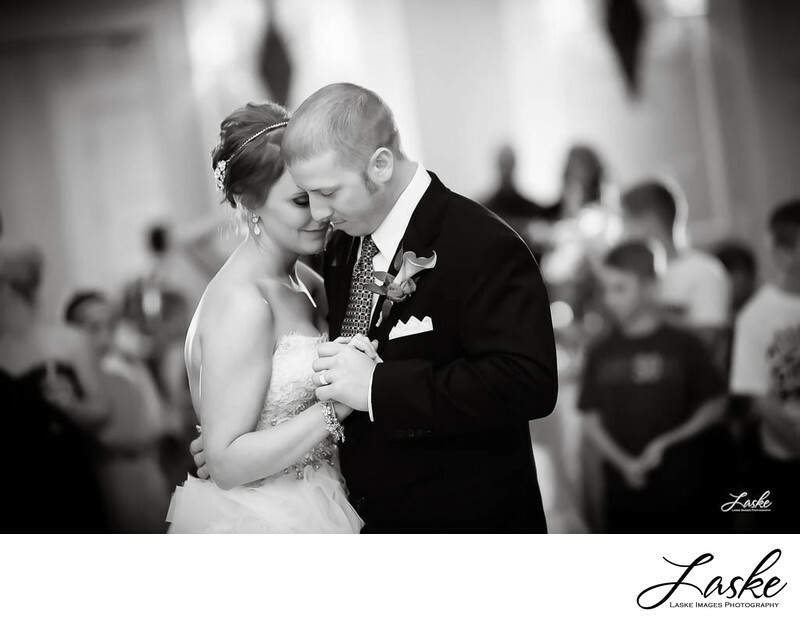 Bride and Groom's First Dance at their wedding reception. Sepia. 1/160; f/2.2; ISO 1250; 135.0 mm.